Many dentists don’t typically think of their dental suction after it is installed until it needs to be replaced. There are two types of dental suction on the market today, wet and dry. Chances are your practice uses a wet vacuum system, but the new dry vacuum systems have their merits. If you’re having issues with the system you have in place and are looking for a new one, use this buying guide to help you make the final choice. Wet vacuum systems are loud, smelly, and can use up to 200,000 gallons of water per year. New wet vacuums create a suction of about 15’’ Hg suction pressure, while some of the new dry vacs create up to 25’’ Hg pressure. It is important to pay close attention to the specifications of the system you are interested in. Though it may be more cost-effective as an initial investment, it is important to invest in a system that will provide adequate suction power throughout its use at a dental practice. Though today’s wet vacuum systems do not use as much water as older generation systems do, they still consume a lot of water. Even the improved wet vac systems still require a lot of maintenance hassle most dental practice employees hate dealing with. Wet dental vacuums use clean, fresh water to build the suction power required to take care of patients at the dental practice. Typically these systems use ½ gallons of water per minute, per horsepower. The majority of dental offices use 2 x 2 hp wet vacuums, so they are consuming two gallons per minute, or 200,000 gallons per year. Dentist offices running wet vacuums have higher water bills simply because they are charged for the water on its way into the system, and again for the water that flows through on its way out of the system. Dry suction, on the other hand, does not require the use of any water, and provides equal, if not better, depending on the model, suction power. They run quieter and are energy efficient, and do not produce a smell because of debris and other things stuck in the line. 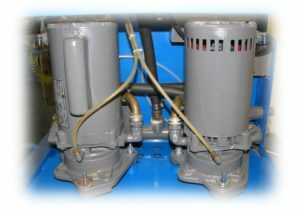 Some dry vacuum models use oil to lubricate and cool the motor, much like a car. However, the oil in these vacs creates an exhaust that will pollute the practice in their immediate environments. Because of the oil, regular maintenance and oil changes are required. However, newer dry vacuum systems are oil less. As such, they do not pollute the dental office environment, and they do not require such heavy and regular maintenance. Alternatively, these systems use carbon fiber vanes that do not require oil at all. This means there is no need to check oil levels, no need to add oil, no need to change oil, and no harmful emissions. Dry vacuums do not have water flow, which eliminates the concerns of backflow and bacterial contamination from patients’ mouths. They require an air/water separator tank to hold and collect the debris. 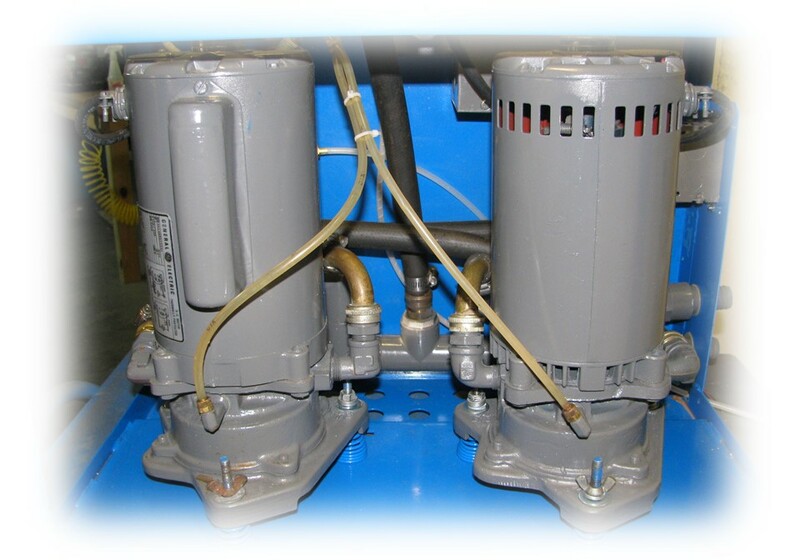 You can install a collection tank either attached to the motor or along any location in the plumbing system. The tank will automatically drain any material it collects. Though smaller tanks will automatically drain more often than larger tanks, it will eliminate the need to clean the tanks, which is always a chore for staff members. If the tank requires daily draining, the cycle only takes a few minutes, so it will not create issues during the practice’s normal working hours. Considering the average national water consumption charge for the use of water in a wet vacuum system runs about $2,000 a year, the choice is often clear for most dentists. Dry dental suction systems are not only cheaper to run overall, they are more powerful and energy efficient than their wet counterparts. This translates to a smaller carbon footprint, which is better for the environment. Newer dry dental suction systems are powered by electric motors and carbon fiber vanes or blower type motors. This means they run much more quietly than older wet vacuums. The reduced noise makes for a happier and healthier dental environment for everyone in the practice – dentists, hygienists, other employees, and most importantly, patients. 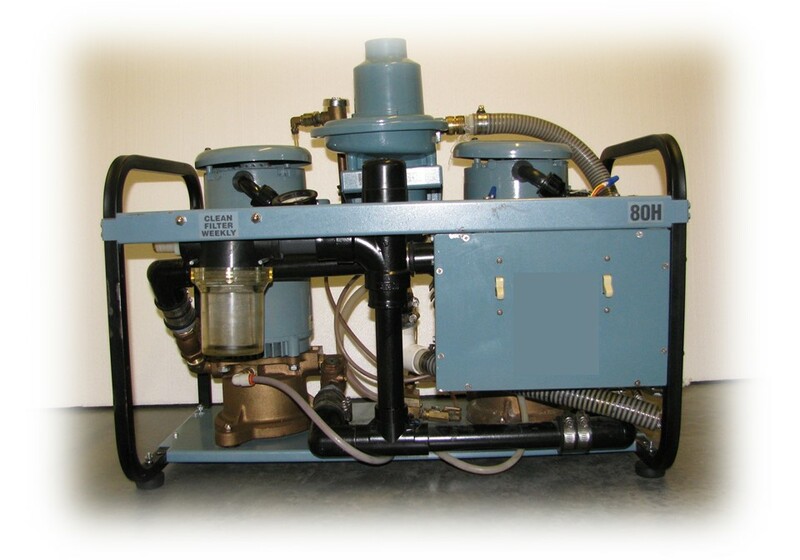 Older models of wet dental suction systems are large and heavy. Most of the time, because of their size and operational costs, they were kept in the basement or the utility room. Over the past decades, improvements have been made. The dry vac pumps available today are not only smaller and operate quieter, they are also more energy efficient and less hassle to maintain. Making the switch from wet to dry dental suction is no longer as complicated as it used to be. It was difficult in the past because different plumbing standards were required for the two different systems. Today, the majority of dental dry vacs fit the same plumbing pipes that wet vacs use. The most common wet vac plumbing size is 1’’ to 1 1/2’’. The dentist needs to ensure the new dry vac system is the same size to replace the wet system. 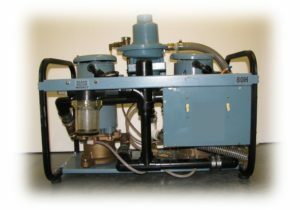 It doesn’t take a skilled technician any longer to replace a wet vac system with a new dry vac system than it would if you were replacing an older wet vac system. Switching from a wet dental suction to dry dental suction will save the dental practice money, in the long run, increasing profits, or slightly decreasing the cost to serve patients. With the money you save from changing your system over, you could easily provide free or discounted services to those in need, if you choose to do so.